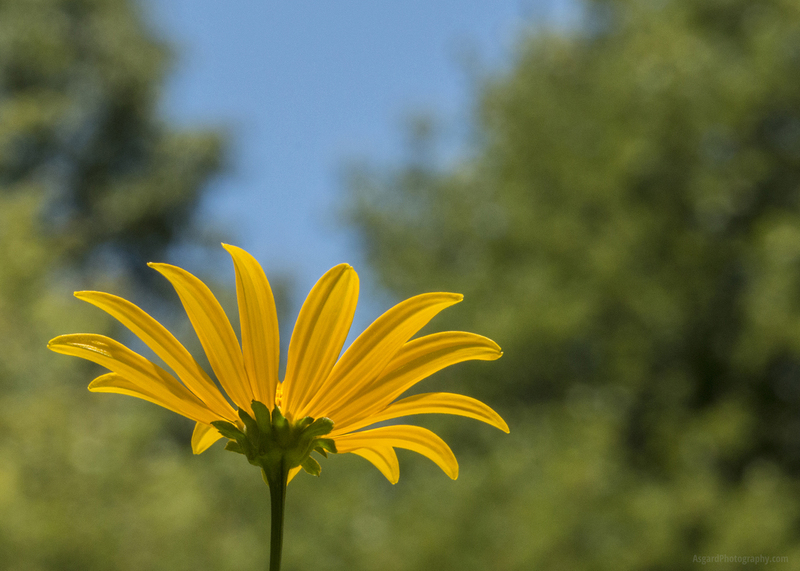 Did you know that flowers get the brightness of their color by inhaling the blue sky? This shot was taken on one of my walks through Swan Creek Metropark in Toledo. They were actually pretty tall, but I spent a while trying to get just the right angle to match the trees and sky behind it.